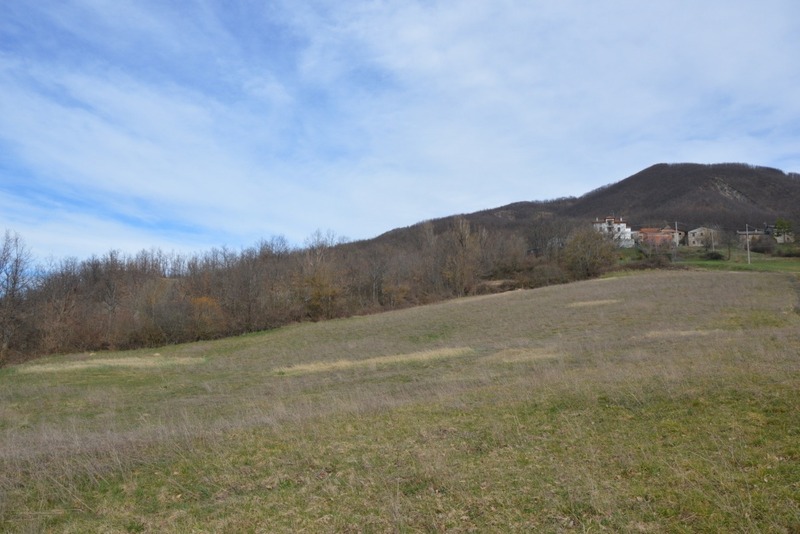 In August 2018 the Association received in donation 7ha of land (partly forested, partly arable) in the Apennine mountains, in a small village called Cerreto. We are about to create a Food Forest on one of the plots which in the past was used for grazing and conventional agriculture. At the moment the land is very compacted and dry. Our aim is to transform it into a more biodiverse and resilient ecosystem by creating a Food Forest: a low-maintenance, multi-functional system, which mimics the natural processes of a forest. The plants of each layer play specific and important roles. Some provide shade which protects the soil from drying out (like mosses and grasses), other plants attract beneficial insects, others accumulate nutrients in the soil, etc. It is this rich interconnectedness that protects the forest and makes it such a thriving ecosystem. 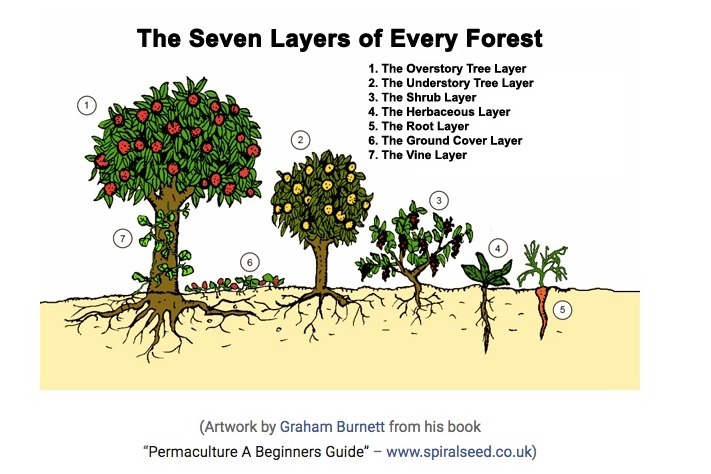 Food Forests are designed by replicating these natural processes found within a forest. However, the plants of each layer are replaced with plants which provide nutritious food, medicine, shelter, fuel, crafting materials and aesthetic beauty for the whole community. So for example big canopy trees (like oaks/pines) are replaced with fruit or nut trees (like pear or chestnut), the shrub layer is filled with berry bushes and nitrogen fixing shrubs, and the root layer consists of perennial and annual vegetables. Such an ecosystem not only provides for our basic needs but it also increases biodiversity, reduces pollution, heals the soil and prevents erosion. Additionally we are going to incorporate ‘swales‘ into this project: trenches dug on contour which passively harvest and retain the rainwater. Integrating them into the design prevents the water from running off the land, allowing it instead to slowly soak into the soil, gradually increasing the water table level and making it accessible to all the plants and animals. Click here if you would like to support this project with a donation or contact us if you would like to volunteer with us.